Ingemar brings with his timeless shape the royal air into your bathroom. Bath has higher sides which fully support your back when you take a bath. The relaxation is guaranteed. SKU: SCH337. Category: Design bathtubs. Schönberg Eleganz & Wasser serie design bathtub that thanks to its material is lightweight and suitable for any bathroom. 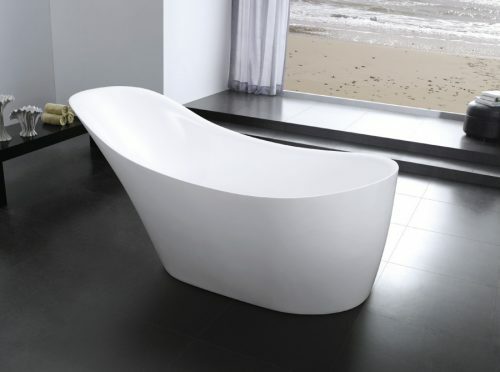 Christen is a minimalistic but stylish bathtub that makes every bathroom elegant. With this single “acrylic” seamless bath, pure acrylic has no harmful effect on health. 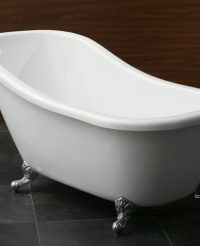 The thickness of the bath is 5 mm, which ensures the quality of the bath. 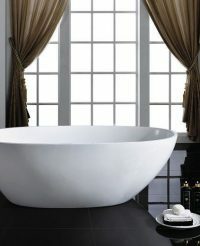 Thicker acrylic makes the bath little heavier than usual, but thanks to that it’s longer-lasting. Feel the classical and elegant English design what is originated from Victorian age. This product is truly timeless classic – deep inside, simple outside and focused on perfect details. It controls effectively the balance of space. Please allow yourself a masterpiece of 19th century returning fashion at your home – choose Victoria!